I've received some questions about the satellite interviews I did yesterday. Here is an example: I sat in a television studio in Kansas City uplinked to a communications satellite. I then did 31 interviews from Detroit to Miami to Denver to Cheyenne in a 5 hour period. 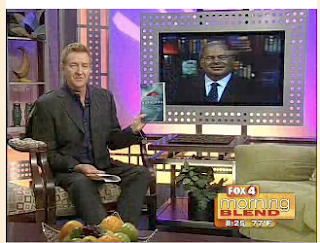 You can watch my interview with, for example, the Fox station in Ft. Myers here.